After posting about my glue gun misadventures yesterday, someone suggested that I go directly to the Walmart Canada facebook page to complain. 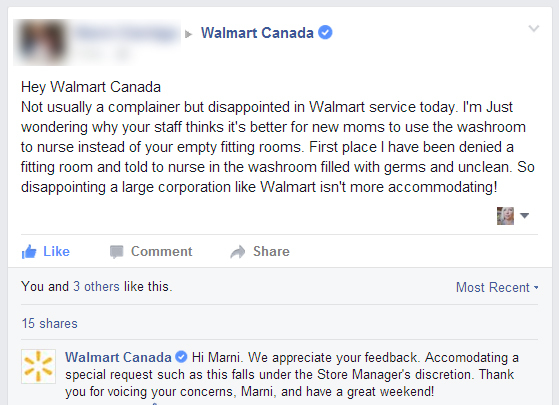 When I landed on the page I noticed another customer complaint and an astoundingly ignorant reply from Walmart Canada. So they have new/expectant mom parking spaces but if you want to feed your baby you have to do it in the same place people poop? 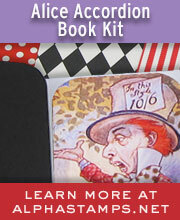 Feeling riled, I shared the link on my profile. Shortly after posting a reply from Walmart Canada with an apology (because they wrongly thought the complaint was from myself). "Women should have the choice to feed their babies in the way they feel is most dignified, comfortable and healthy." I'm not sure if I'm more disgusted by the fact that women are still being forced to feed their children in the same place people defecate, or that a corporation the size of Walmart is so clueless as to their responsibilities when it comes to Human Rights. This is not up for debate. This is not up to the discretion of a store manager. This is a legal obligation and as pointed out in the Code: "It is unacceptable to choose to remain unaware, ignore or fail to address potential or actual human rights violations, whether or not a complaint is made." Anywho, feel free to hop over to the Walmart Canada facebook page to let them know your thoughts. Well, I don't live in Canada, I live in the US, but if the state of the washrooms in the Walmarts in Canada are anything like our local Walmart's washrooms, I wouldn't want to feed my pets there, let alone my child. Wal Mart never ceases to amaze me. In no way should this be at the " discretion" of the store manager! Some things should just be made available to people. But of course Wal Mart is also the store that searched a lady who had just had a mastectomy and they were suspicious of her adjusting her bandages.. apparently. Wal Mart seems to have a slap dash way of dealing with its customers sometimes. Clearly, Walmart is behind times!!! What Mother would want to feed her baby in a restroom? No matter how "clean" the management thinks their facilities are, they are gross and germy and quite often smelly. Get a grip and a dose of reality Walmart. You don't want a nursing mother to feed in a changing room, but you let weirdos roam your stores................!